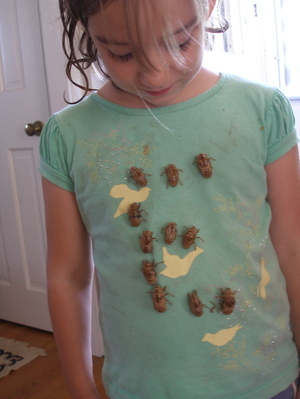 a (forced) study in cicadas….since little hands have scattered and forgotten them all over my house. I had to remove one from my laptop before I could open it. icky. Have you experienced the unequaled sweetness of a white peach? They are in their prime here. I cannot get enough. They do enjoy sunning themselves in a kitchen window sill. Preferably one with a nice view. Yuck yuck yuck and yum. Wow those peaches look delicious! Are you lucky enough to have a tree? 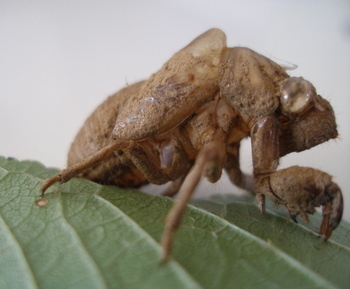 we had the 17 year cicadas a few year ago…gross and good all at the same time. I just had a white peach for the first time in my life (didnt even know there was such a thing) So super good! 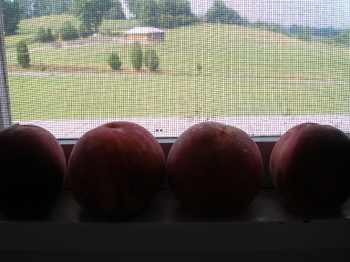 Last year, I took about ten photos of the best white peach I’d ever eaten in my life. My husband thought I was nuts, but that was one seriously awesome fruit. We have some cicada skins too, and I have to admit that they’re yucky but they absolutely fascinate me, I can’t stop looking. 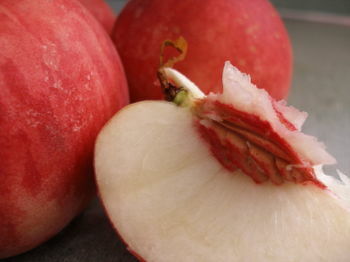 And yes, white peaches are wonderful! Oh, Molly! these cicada molt pictures make me SO homesick! It’s been a quiet quiet summer here in California without the drone of cicadas 🙁 and the sad thing is, I think I’d forgotten all about them until I read your post.schwEEEEEEEEEoooWEEEEEEEEoooooWEEEEEEEEEEEeeeeeeeeeeee….. I love white peaches.I hate bugs! And I live in Australia – it can be a problem! Those bugs on her shirt are making me antsy sitting so far away here at my sterile office desk. Yuck! I used to like bugs when I was little and we’d catch little green lizards and have them bite our earlobes to wear them as earrings. It didn’t hurt and they wouldn’t let go. Now my baby girl is into frogs and worms. Gotta love those girls. 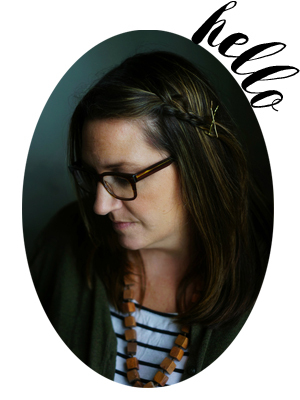 What a lovely blog you have, and such beautiful little girls. Thanks for sharing your thoughts and moments…. Um yuck! I dislike bugs…. especially cicadas! What ARE they! Urgh! They look like something from the film Alien. DS#1 thinks that “E” is SO cool, and he SO wants to find some of those! Eurgh! 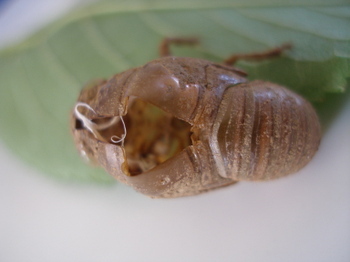 I may not be able to eat for a week…we (me and DS#1) just wikipedia’d cicadas…and saw one moulting…eeeeeurgh! I’m not a wimp normally..but there’s something about the moulting part..Oooh, i need a glass of water!!! Oh and DS#1 thinks E is even cooler now. Even he, often referred to here as Bugman, pulled a sickened face when he watched the moult! Ok, now I have never been afraid of bugs ever … but I have to admit that the look of those icky little bugs has me wondering whether I should reconsider. You are a better Mommy than me, as I think I would have squished them all by now! 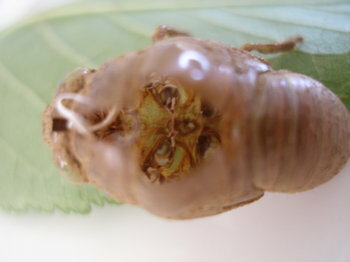 okay, dangit, I read that someone wiki-ed it and so I did too and I saw the molting too and now I think I may be sick?? I am soooo glad we do not have these in Utah… I am from Alaska, so even coming here there are so many more bugs to deal with, thankfully not those, or at least I don’t think so! ?